Being a vegetarian abroad can be super difficult but with planning, it can come a lot easier. 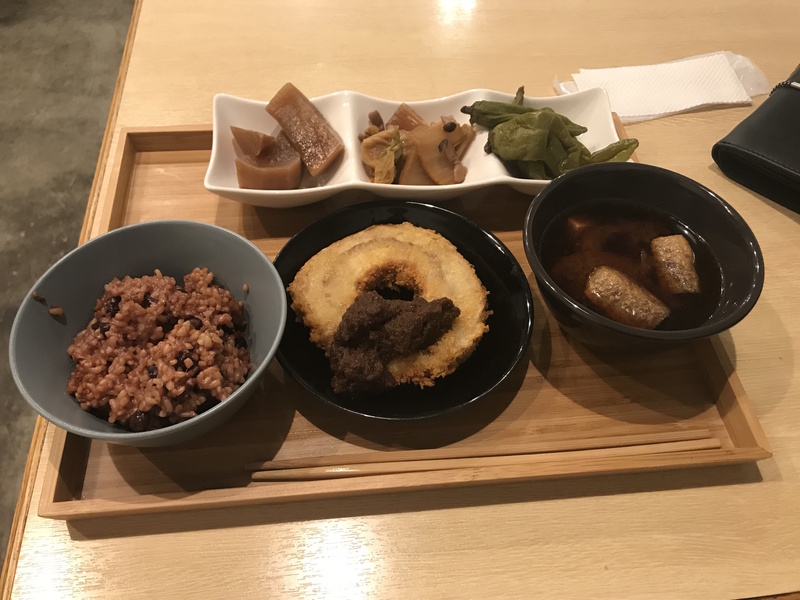 I actually didn’t think being a vegetarian in Japan was super hard but I got to try a few vegan restaurants, which was incredibly fun and honestly, I had some of the best food. Tip: I got these from lists on travel blogs, but unfortunately several of those restaurants I went to didn’t even have vegetarian options. Walking a mile out of the way to get to a “vegetarian” restaurant to find out they don’t have anything I can eat is a huge bummer. I’d strongly recommend looking up reviews and menus in addition to finding the names and addresses of vegetarian-friendly places. 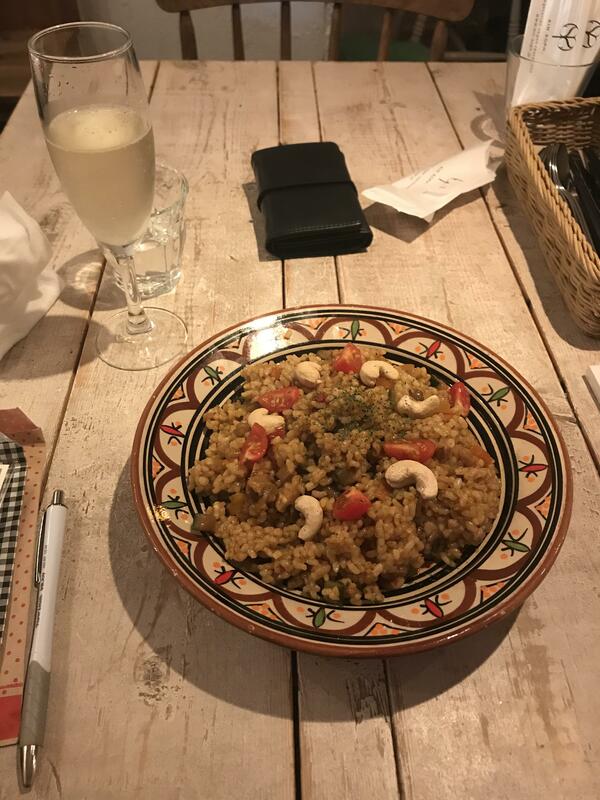 This is by far the most popular vegan restaurant in Tokyo, and they have locations in Tokyo and Ueno station (note it costs ~140 yen to get into the station without going on a train). They have a bunch of different vegan ramen to try, and I actually went three times and got a different ramen each time. To be honest, the ramen tastes were quite similar for what I tried, but it was a delicious experience each time. All three ramen I had were not like the traditional ramen, with a light broth, noodles, and some veggies. 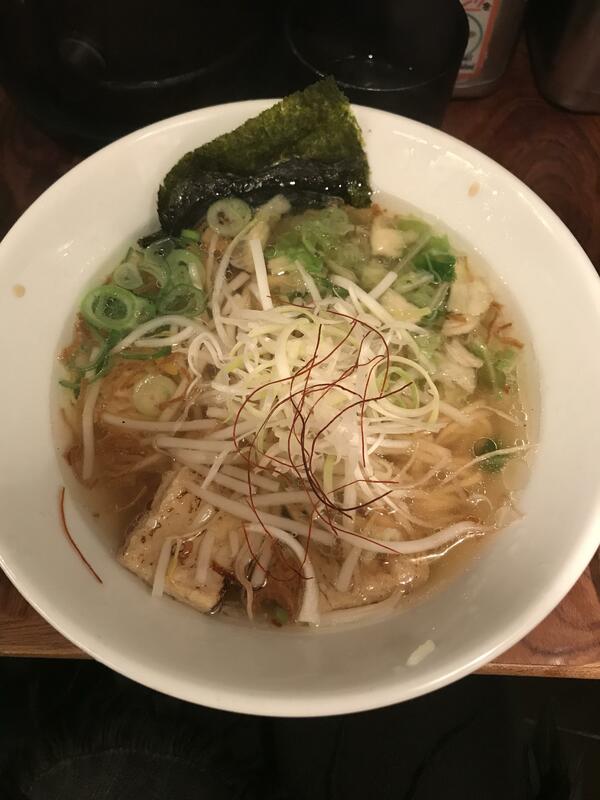 The broth was a lot thicker than what normally comes with ramen, and the tastes were very heavy on the ingredients rather than the broth. The ramen I had all had nuts and they were quite heavy on the nutty flavor. 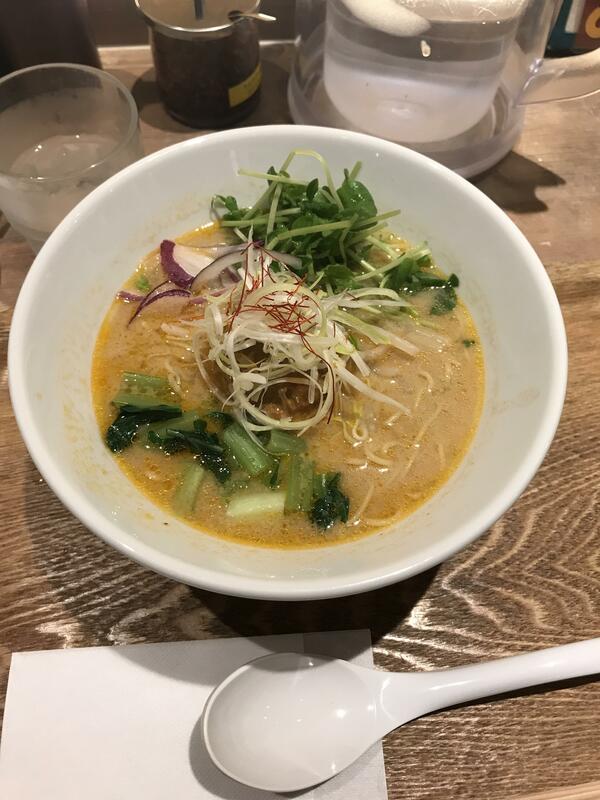 I thought it was super good but it definitely isn’t what one would expect with the word “ramen.” I met several meat-eaters who also enjoyed T’s TanTan so it’s surely a great option. Bonus points: they have food that you can purchase and prepare at home, which is great for hostel or apartment living. This place is very central but a little tricky to find as it’s in the back of a small food market. I went near closing one night so was given what they had available in the kitchen. 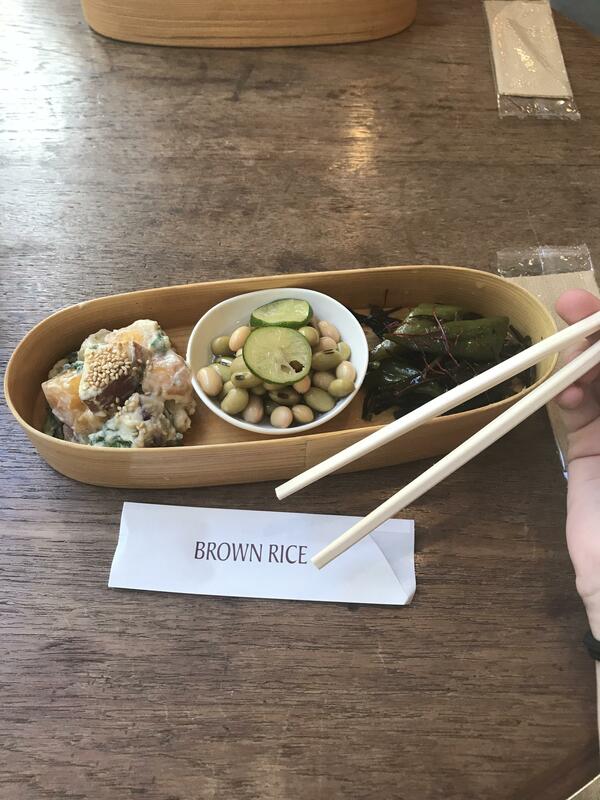 Generally, you choose a main course, some sides, and your type of rice. You get one drink (required) and some soup. Oh my god. It was amazing and probably one of the best restaurants I’ve been to in all time. The only thing they had left was the fried gluten, which I never would’ve tried on my own but it was so delicious. The sauce was a perfect compliment, and I think it actually had chocolate in it (I think). Everything is really fresh but also filling, and prepared in a way that makes it more exciting than boring. I couldn’t really tell what everything was or how it was prepared by oh my gosh, it was so good. Not to mention that I really appreciated eating vegetables that I didn’t even know existed, and that I’m not sure I can access in the USA. 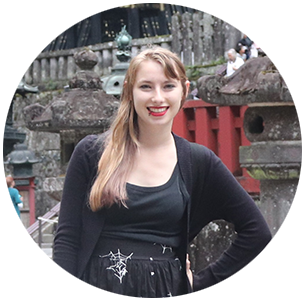 I even went back on my last day in Tokyo because it was still thinking about it two weeks later. No regrets. 10/10 would recommend. This place was a little out of the way but it was very delicious. My brother and I were on a budget so we actually didn’t get the full-course meal, with rice and soup and all your heart can desire, but a plate of three sides and a dessert. It came to about 1000 yen per person. And again, it was so good. Much like the restaurant above, the food was very fresh but prepared in a way that made it more exciting. Japan is very big on pumpkin during autumn and theirs was prepared in a way that made it nice and soft. The seaweed was also flavorful. 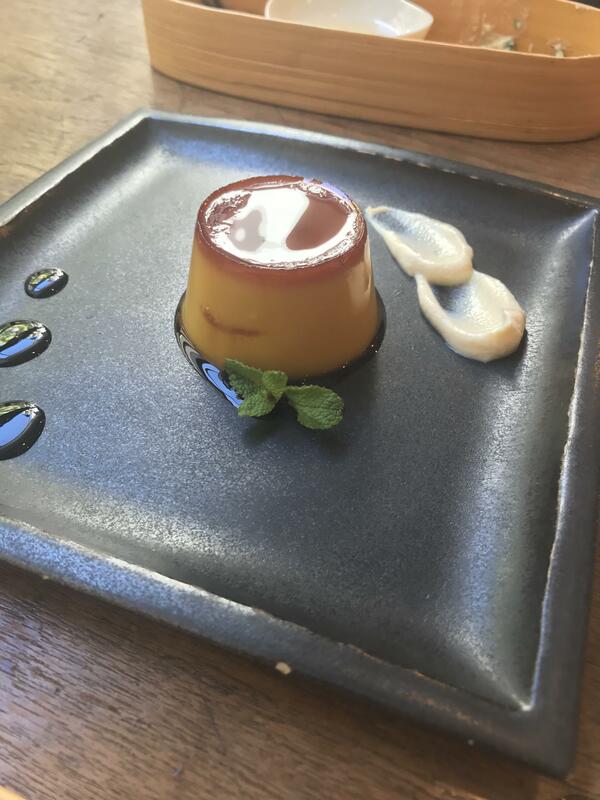 The dessert was a pumpkin cheesecake-type plate and though it was small, it was delicious, especially with the sauce. My brother really enjoyed it, as well. My regret is that the food was not super filling, so we should’ve splurged and gotten the full-course meal. I have no doubt it would have been scrumptious. It was the end of my trip. This place got great reviews so I decided to stop in. The food is quite expensive at around 1000 yen a side and 2000 yen an entree, but I splurged and got some champagne and their “famous” vegan tiramisu. The ambiance was so nice and I was going home soon, so YOLO, right? Their menu had a selection of food from around the world, so it was a tough choice. However, I ended up going with the rice that had nuts and spices. As it turns out, it had a lot of spicy spices. I hadn’t had spicy for in Japan at all so it was very surprising. While I don’t mind spice, the meal I got legitimately did not have a taste but spice. My mouth burned and besides that, I couldn’t taste anything. The cashews were the only element with a taste and there were only about 6 of them. I actually decided to go downstairs, pay, get my tiramisu to go, and leave before facing them with my half-eaten plate. I’m sure that the dish is good to somebody but I spent about half an hour eating it and debating whether or not I should leave. However, when I ate the tiramisu later, it was not that great. The disclaimer about this place is that it’s probably good if you like food that tastes vegan, a phenomenon I can’t explain. 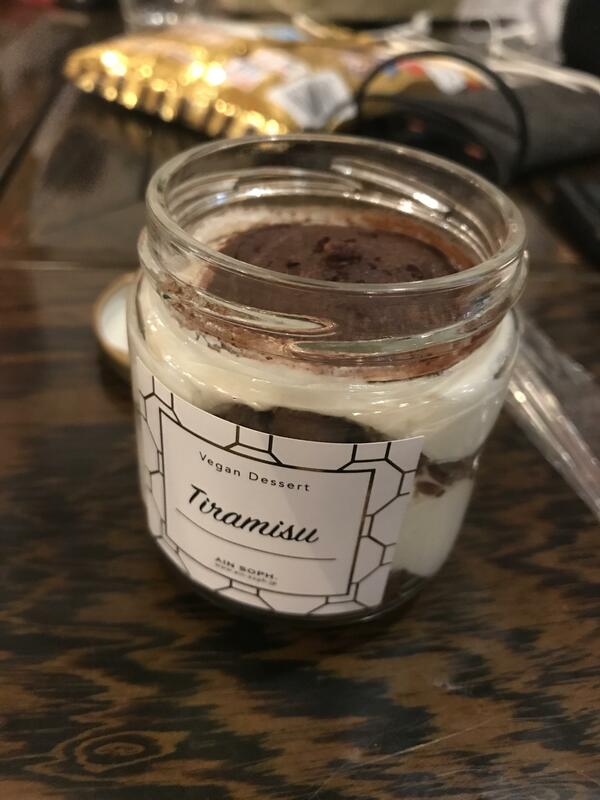 For example, the tiramisu didn’t taste like tiramisu but like a mixture of dairy-free cream and coffee. The food didn’t focus on the main ingredients but on the additives. It’s not fair to call it “bad” but it was a miss for me. They have a 100% vegan ramen option at a place in Akihabara. The address is 3 Chome-11 Sotokanda, Chiyoda-ku, Tōkyō-to 101-0021. This is a more traditional ramen, and the location is easy to get to in Akihabara. It’s also a great option for groups with people who don’t want to eat vegan. 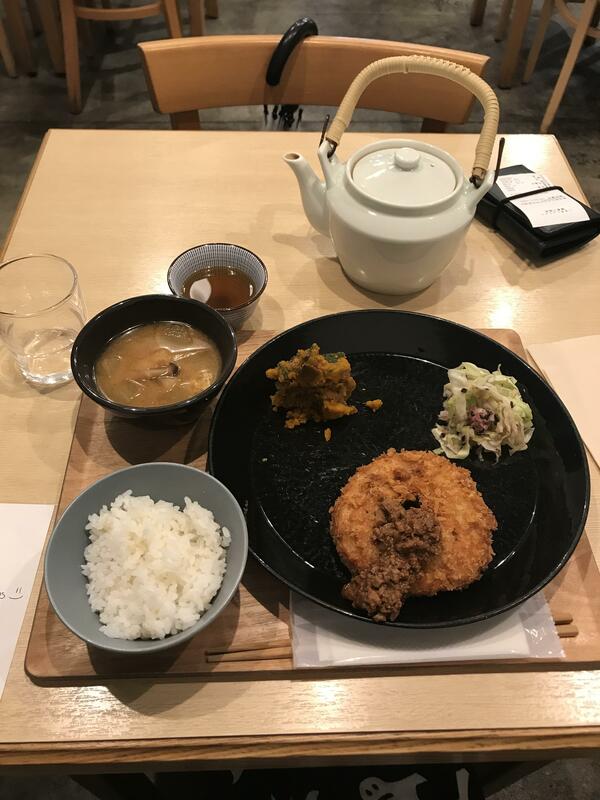 Tokyo actually has a lot of great vegan options and I’m so happy I got to try so many of them! Have you ever been to any of these restaurants? What did you think?